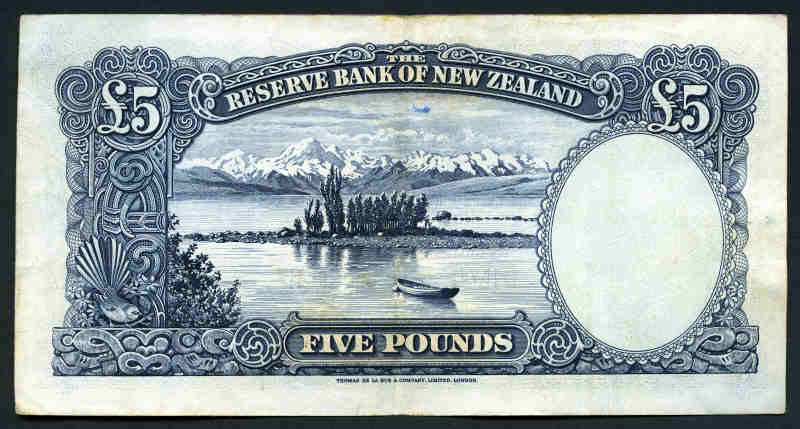 Selection of 5 banknotes comprising 1940-55 T.P. 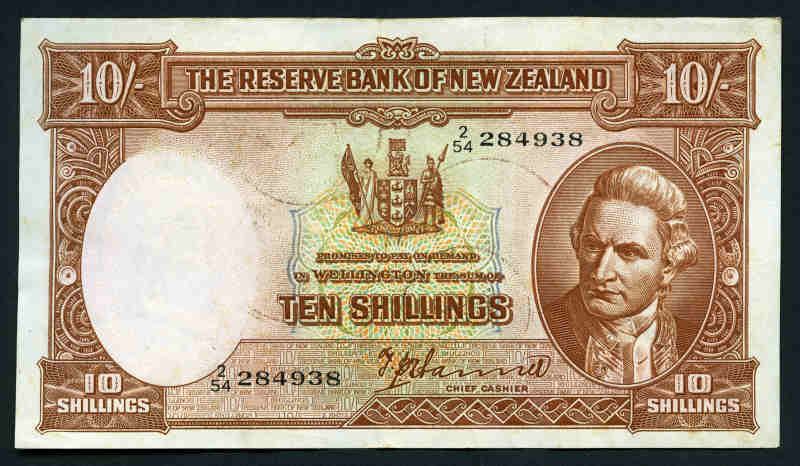 Hanna 10/- with number over date VF, 1956-67 R.N. 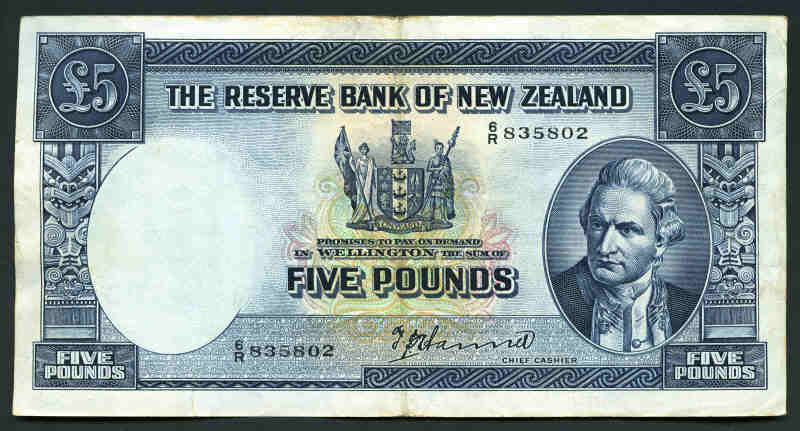 Flemiing £1 without security thread F, 1940-55 T.P. 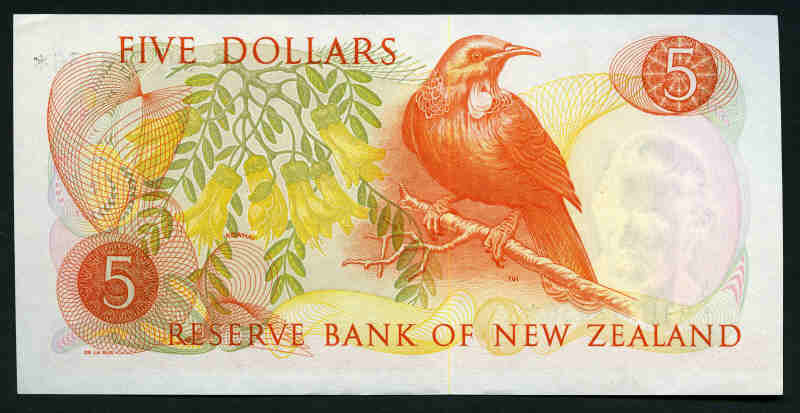 Hanna £5 F/VF, 1977-81 H.R. Hardie $1.00 Y92 Star note Unc and 1977-81 H.R. Hardie $5.00 Star note Unc. 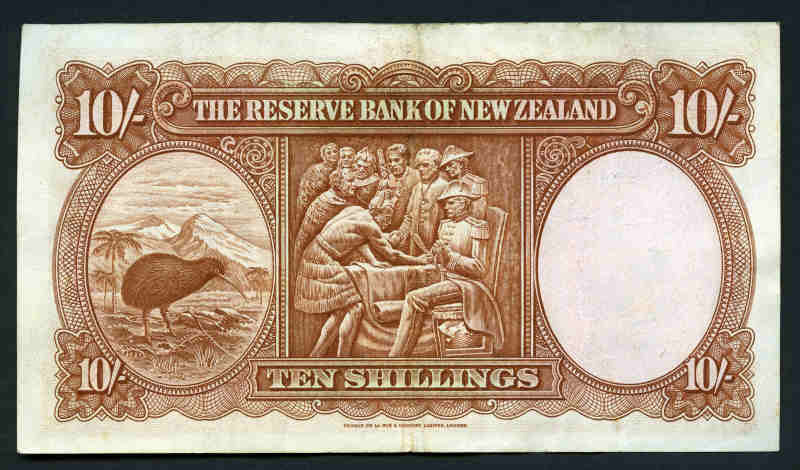 1990 $10.00 Commemorative BBB banknote and 1993 $10.00 Kate Sheppard uncut vertical pair AA banknotes Unc in souvenir folders. 1873 Five Dollars Mauve Levuka Treasury Note handsigned by Treasurer Howard Clarkson and handstamped CANCELLED. Several folds, wrinkling and minimal staining with no tears or holes. Graded F. Scarce. Krause No 15b. Catalogue Value US$1,100.00. Great Britain, Isle of Man & Scotland. 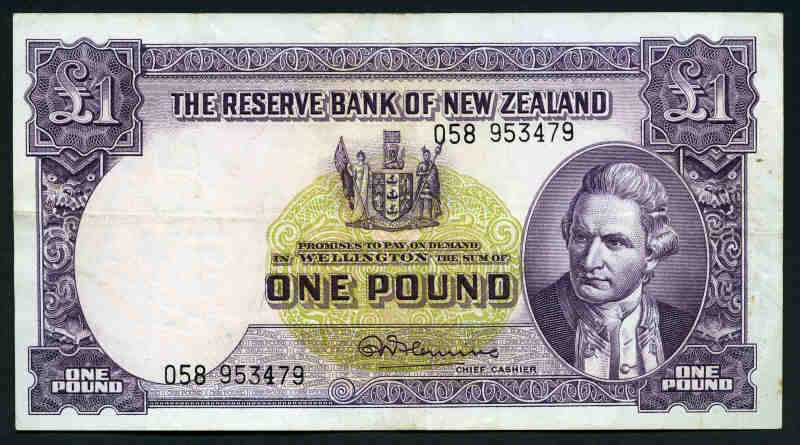 1973-2006 £1 (23), £5 (16), £10 (6) and £20 (2) banknotes. Mainly circulated. Face Value £203.00. 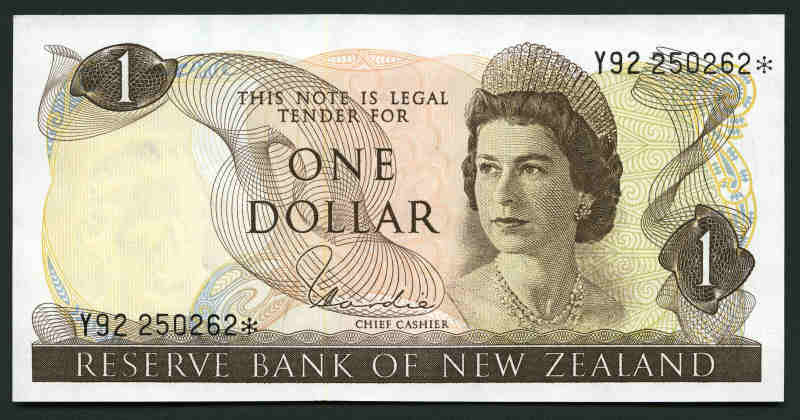 1973-2008 $1.00 (13), $2.00 (9), $5.00 (7), $10.00 (3), $20.00 (4) and $50.00 (2) banknotes circulated, plus 1973 $1.00 uncut pair banknotes aUnc. Face Value CAN$278.00. Also U.S.A. 1976-2003 $1.00 (4), $2.00 (16) and $5.00 (2) banknotes circulated, plus 1995 $2.00 Jefferson uncut pair banknotes aUnc. 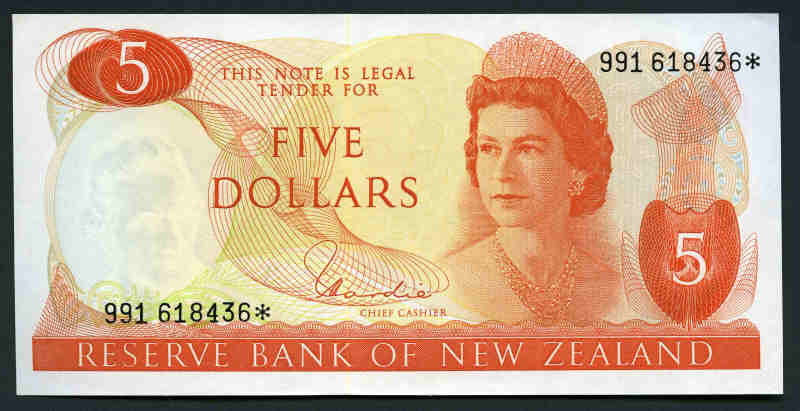 Face Value US$50.00. 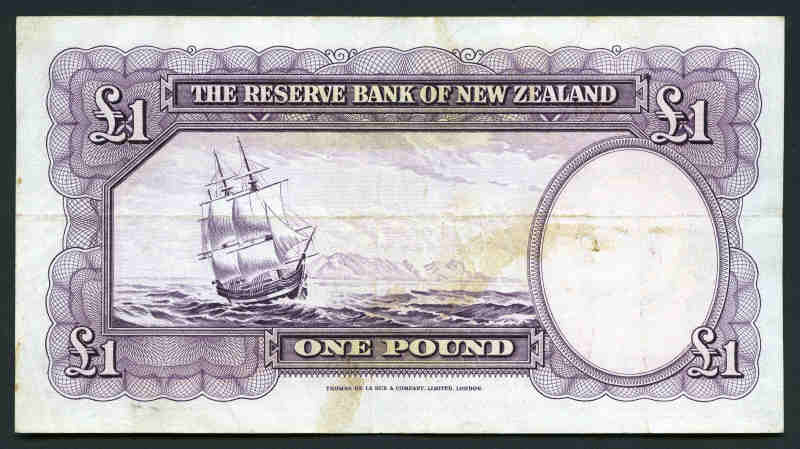 Collection of 153 mainly modern Banknotes with main strength in British Commonwealth countries including Canada 1973 $1.00 uncut pair, 1991 $20.00 (5), Great Britain 1988-91 £5, Isle of Man 1983 £5 (5) and £10, New Zealand 1992 $20.00 and $50.00 and Scotland 2006 £10. Many aUnc and Unc notes. Collection of 243 Banknotes from a range of countries and periods in 4 albums with condition varying from VG to Unc. Collection of 660 Banknotes from a range of countries and periods on Vario or Prinz pages in 3 binders with slipcases. Main strength in Bahamas, Canada, Cayman Islands, Eastern Caribbean States, Fiji, Great Britain, Jamaica, New Zealand and more. 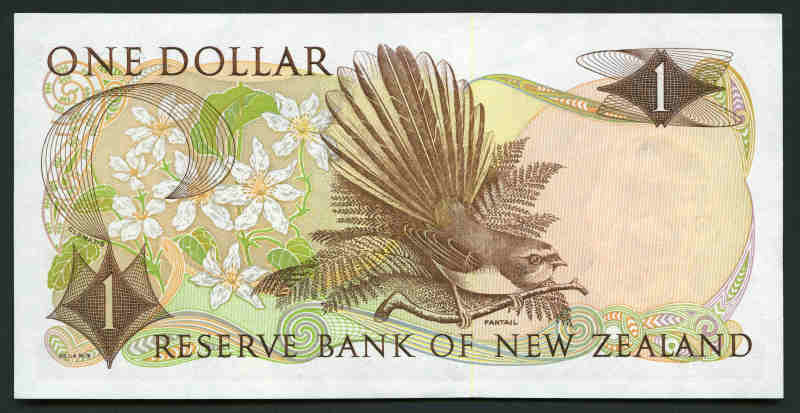 Variable condition, including range of modern Unc notes, with some consecutive runs.